Make Money Online Reviews Is Online Marketer’s Academy a great place to learn? Is Online Marketer’s Academy a great place to learn? Certain words provide instant authority and a sense of trust. They are few and far between, but out in the forefront of these words are ones associated with education, such as university, college, academy, faculty and school. There has been a trend for a while now where internet marketing membership sites try to piggy back on the power of these words by using them in their names. Forgetting the fact that using these terms in a business situation is dubious at best (certainly not in company names ), they are not accredited with any formal educational institute. The product in question is Online Marketer’s Academy by a British entrepreneur Carl Topping. Even across the pond, terms like university are protected, though academy is in a dubious grey area. I bet you’re asking yourself, “why does it matter?”. It matters because systems like this are playing on the fact that these words are associated with legitimate institutions, and by playing on them they are playing on your own sense of security. 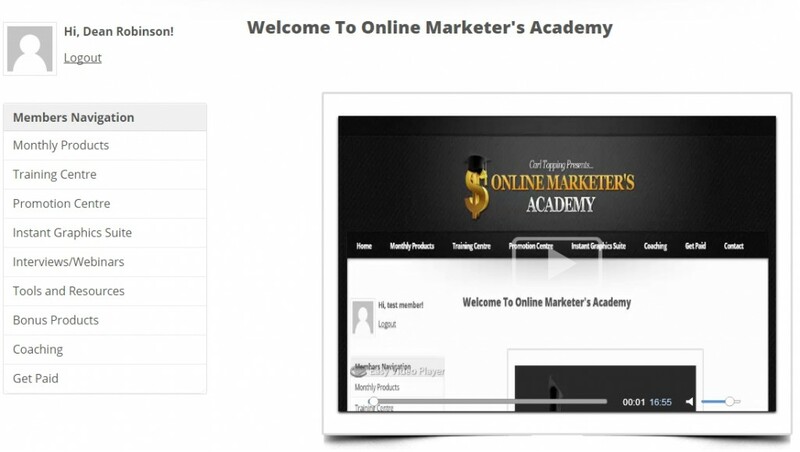 The question is does Online Marketer’s Academy live up to using a word like academy? The sales letter for this product is a bit weird. It starts out with the usual blurb about trying to help struggling marketers. 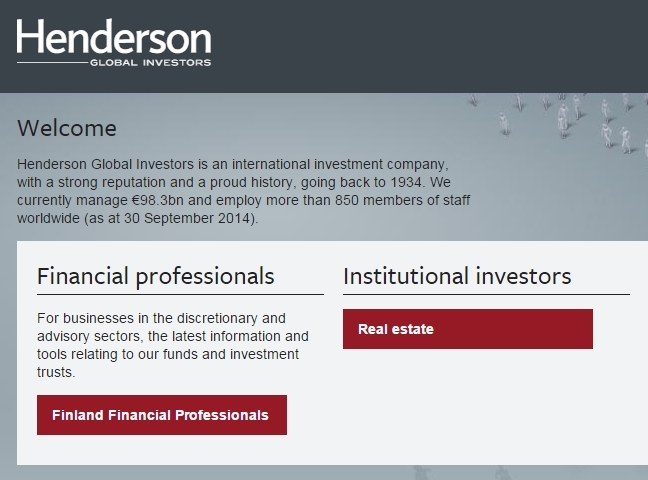 However, rather than show what the system can do for you, it brags about the site owners own achievements. He is trying to prove his worth to you, which would be fine but as always the proof is not provable. The pitch states that the membership site has a bit of everything for everyone, which could be good because a lot of these membership sites are solely focused on newbies rather than those of us who have been around a while but are still looking for tips and tricks to improve what we are doing. The membership fee is $19.95 per month, but you can get a 7 day trial for just $1 which is a nice way to get your feet wet. Of course, there is an upsell after your purchase. This time it is for a discounted coaching program for $47 per hour. After logging into the site, you are faced with a welcome video and a few links for things like joining the Facebook group. The site itself is broken up into 6 or 7 broad areas including Monthly Products, Training, Promotion Centre, Webinars and Resources. To access these you actually need to sign up again, but luckily it’s free. The products in question are on a different site (thus the second sign up) and consist of a variety of different products from e-books to software to graphics. Most of them are PLR products or personal use rights products. The quality of these products is open to debate as I haven’t reviewed them, but in PLR content in general is fairly low quality. Still, this is a handy resource for when you need a freebie to add as a bonus or bribe. It’s just a shame you have to sign up to a different site to access it. This section covers training for various things, and categorises them via income stream, so drop shipping, affiliate marketing, coaching etc. Each of these has a selection of videos that make up the training along with links to various other resources and products. The videos are for the most part narrated by the site owner, but it looks like some third party ones have been dropped in as well. They vary in length from 5 minutes to 20 minutes or higher, but for the most part they are around 5 to 10 minutes long. This is great because they are easily digestible and even though there are no transcripts you can find any bits you want to double check without too much trouble. The video and audio quality is also pretty good. The training itself is sort of fractured and often more of an overview than anything specific. For example the 17 minute video about affiliate marketing, discussed what it was and how to sign up to affiliate marketing networks like JVZoo and get affiliate links. It didn’t explain what to do with them though. This section contains an interesting idea, in that Carl will review your products or services to provide feedback and testimonials. As well as that there are places listed that you can go to to help spread the word about your product or service. Here you will find some interviews and webinars. Right now it is limited to 4 audio interviews of different marketers by David Caudill. These are all on the same topic of Private Label Rights, so pretty much for a limited audience. A bunch of affiliate links, err links to useful products. There are a few other things available as well including bonuses and graphics. Is Online Marketers Academy a scam? No it isn’t a scam, there is definitely some value there. Is it any good? Personally I would say that it is OK. There are obvious flaws in both the site and the training that should have been ironed out before launching, and these flaws are likely to turn people away. The training was only so-so in my opinion. It was too broad for newbies, and perhaps too basic for experienced internet marketers. The site seems to be fairly young, so I am hoping that given time more and more training will be added to improve on the flaws and gaps. If that happens, then it might well be worth revisiting the Online Marketers Academy. Right now though, unless you simply need an overview of things or want some ideas about different income sources, the training is a little thin.